Many people choose to use e-bikes to help them against headwinds and for climbing up hills. An electric bicycle augments the human power and not replacing it. 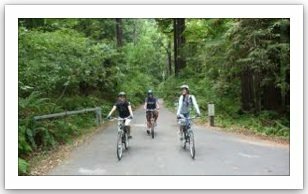 Therefore, pedaling is required when riding on an e-bike, and this is especially valid when going up a hill. When you aren’t sure if you can get up that particular hill you have in mind (which might be steep or long), it is natural to want to get the most powerful e-bike. However, in many cases, the most powerful e-bike is an overkill and you will end up spending too much money and carrying around much more weight than is really necessary. 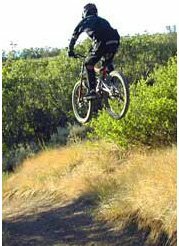 Climbing moderate hills with almost any electric bicycle is easily done with just moderate pedaling, it is the steep hills (and also strong headwinds, and high rider weight) which complicate things. Compared to conventional bicycles, e-bikes will blow you away. Electric bikes can be designed specifically for better hill climbing or optimized for better range or speed. Motors with a higher nominal power rating may offer more hill climbing ability (torque) but will reduce the range. The motor power efficiency is not constant, it is designed to have a maximum efficiency at a specific speed and this efficiency varies as speed goes up or down. Motor Through Gears or Not Through Gears? Whether the motor is connected through the gears (mid-drive) or not (front drive,rear drive, friction drive), the bicycle gears are always important. In contrast to other motorized vehicles, where just the motor is accounted for propelling the vehicle forward, the electric bicycle has both the motor and the rider sharing the job together. It's a hybrid machine, which combine the human and the motor power. 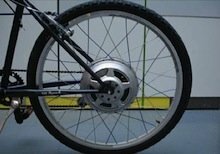 Through gears systems allow the motor to propel the bicycle through the gears of the bicycle. This can help the rider climbing steep hills by using the motor in the lower gears of the bicycle. The motor operate close to it's maximum power efficiency point since it drives through the gears but it also have efficiency losses because such a system is complex and has some unavoidable losses. Not through gears systems are not propelling the bicycle through the gears. Hence, the motor efficiency is not constant and it's depends on the bicycle speed. But such systems are simple and therefore their gross efficiency is higher in comparison with the through gears systems. You can see that there is a tradeoff between the through gears and non through gears systems. On the one hand, the former can maintain the same efficiency for different speeds whereas the latter has efficiency losses as speed varies. On the other hand, the not through gears system has higher gross efficiency. When you try to climb a very steep hill (or when you carry heavy loads), your average speed will be quite low. In such conditions, a no through gears motor will function well below it's maximum efficiency. Hence, a through gear system may be the better answer. But for most other riding conditions, it is safe to say that non gears systems will do the job just the same and in many cases, even better (and without the overhead system complexities). 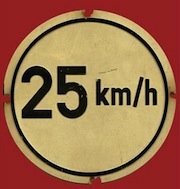 Let's examine a standard motor with a peak power of 250W at 10 Km/h and a rider who can also contribute 250W regardless of the speed. Together they output an impressive power of 500W. At first glance, the results could seem to be quite odd because the motor efficiency goes down with speed but nevertheless, the rider can still climb the same steep hill. This dilemma is solved when we understand that the rider's input is an important factor. The rider power is becoming bigger in proportion as the speed goes down because the motor efficiency is also going down. We can therefore understand why an electric bicycle is different from any other motorized vehicle and why using a not through gear system is not always the best and straightforward answer in this case. Many people look at the power vs. speed curve of both systems and conclude that a motor that uses the gears is better. But, an analysis which has a real meaning in a practical real life scenario has to take into consideration speed values which make sense. And in doing so, oftentimes the motor without the gears will be the better choice. For a higher motor power (well above the typical 250W motor), the above conclusions may be invalid. When gears are changed, momentum is lost. It's therefore always advisable to start climbing a hill at the correct gear and do as little gears shifting as possible. A not through gear motor doesn't share this drawback. The rider can shift gears and the motor will maintain it's momentum. Only the rider would have to regain the momentum after gear shifting. A through gear motor would loss it's momentum on gear shifting together with the rider as they share the same transmission system. 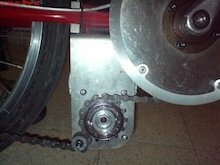 There is a possibility to use a not through gears system with 2 gears instead of the traditionally 1 gear. The main gearing system is left untouched and you get a motor which is hopefully more efficient. You add complexity and frictions on the one hand but you optimize the motor efficiency for different speeds. A motor with internal gears. This system does not takes advantage of the bike's gearing system. An additional bicycle transmission system that allow both the legs and the motor to work in parallel. (Like the Optibike MBB system). This system takes advantage of the bike's gearing system. Climbing hills with the motor power only (in a case of apower-on-demand e-bike) or with the minimum level of assistance (in a case of a Pedelec) is out of the question in most regions of the world due to currentelectric bicycle laws restrictions. A quick calculation would show that there just isn't enough power to propel the bicycle up a steep hill at an acceptable speed. Click here for this quick calculation. But pedaling is just part of the deal, so climbing a hill with only the motor power is just not what electric bicycles are about. But still, in my opinion, the law should restrict the maximum speed but allow an higher maximum motor power. With regenerative braking, the battery can be charged when going downhill to extend the e-bike's range. The electric bike can generate back some of the energy that was spent on going up hill. Generating this power slows the bicycle so it is a good idea also if you want to limit the top speed of the bicycle without using the brakes consistently. A regenerative braking calculator can be found here. Aside from the regenerative feature, because of the built-in friction that every electric motor drive system has to some extent, the downhill top speed of an electric bicycle is lower then what you would get with a conventional bicycle.